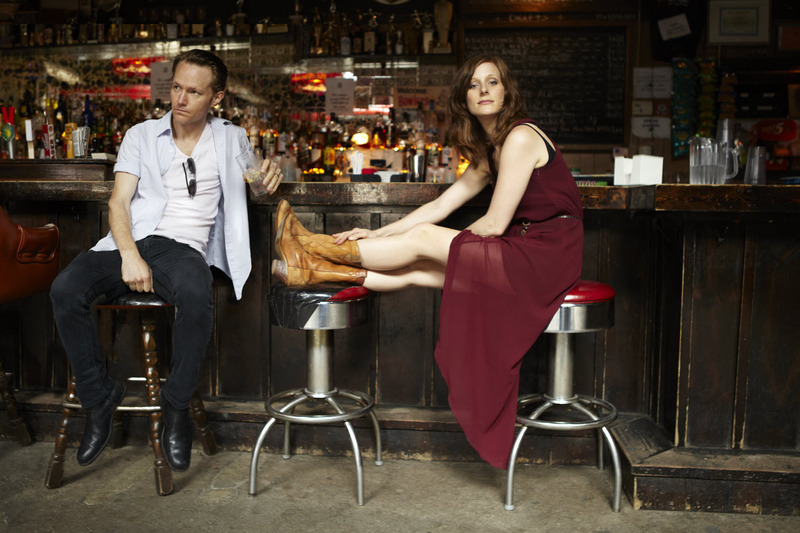 Some believe it was inevitable that husband and wife solo musicians Luke Doucet and Melissa McClelland would team up to form a band. As solo artists, the two spent years cultivating their respective careers, each releasing a handful of records while building their respective audiences one fan at a time. When, in 2010, they decided to cast their solo careers aside and begin formally performing together under the name Whitehorse, Doucet says it wasn’t a decision that either of them took lightly. “I think it was our own conservative attitudes towards our respective careers that kept pushing back the formation of a band,” he says. “We each spent all these years trying to build up a fanbase and establish our respective careers that there was a definite concern about how we could each be affected if we were to rebrand ourselves. “Unofficially,” Doucet and McClelland had been making music together for the better part of a decade before establishing Whitehorse as an entity of its own. Together, they had spent time touring as a part of Sarah McLachlan’s band and would also back each other up for solo performances. Much to their delight, they found “officially” coming together to afford them a musical freedom they had each previously yearned for. “Compared to the time we each spent as solo artists, coming together as a band ended up being such a freeing experience. As a band, we were no longer tied to just being singer-songwriters that plied folk, roots or blues music. We found we could be brave and do whatever we wanted. As soon as we moved forward with the Whitehorse name, it completely opened us up on a creative level. Looking back, it seems ridiculous that we waited so long to do it, because it has been that great,” Doucet laughs. The duo released their self-titled EP in 2011, followed by their debut full-length effort The Fate Of The World Depends On This Kiss the next year. As critical acclaim and concert tours began rolling in, the latter of which happened to include a sold-out performance at Massey Hall in Toronto, it was the ultimate confirmation that the duo made the right decision to sideline their solo careers. Feeling confident, but not arrogant, about the prospects of making their next album, Doucet and McClleland sought out producer Gus Van Go (The Stills, The Trews) to craft what would become their second record, Leave No Bridge Unburned. According to Doucet, when he and his wife arrived to begin the process of making the record, Van Go gave them a wake-up call that they did not see coming. While such an experience would have shaken the foundation and confidence of many artists, Doucet said they used the experience in a positive way, as it forced them to step up their songwriting game. “After we returned with another batch of songs, we realized what Gus was pushing for: He wanted the songs to be expansive and dramatic, which he didn’t hear in the first songs we brought him. He wanted to bring darker timbres to the music and have the songs be us telling stories that people could follow,” he says. With the release of Leave No Bridge Unburned in February 2015, Whitehorse is a band that has largely thrived and grown from being on the road. An important aspect of their touring life has been the duo’s unique approach to their live shows. Although the duo play many songs in the style of Johnny and June Cash, they also uniquely employ a full band using live loops, which they build from scratch at each and every show. When: Wednesday Oct. 14, 7:30 p.m.